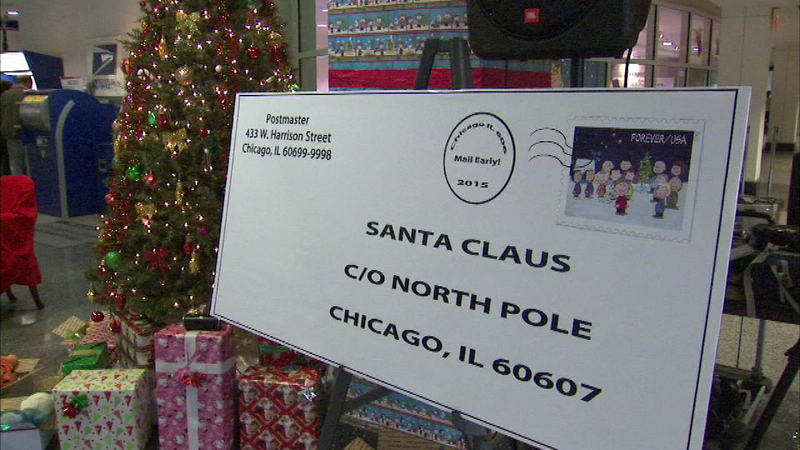 CHICAGO (WLS) -- Santa Claus needs help filling the wishes of needy children across Chicago. The big man in red stopped by the Old Main Post Office downtown on Wednesday to kick off Operation Santa. Anybody can stop by between now and Christmas Eve to select and fulfill letters addressed to Santa at the North Pole. The post office says there is a huge need for help. Every year thousands of letters addressed to Santa are received, but only a fraction of them are answered.